Blueflint were selected as one of the participating acts in this year’s ‘Made in Scotland’ showcase as part of the Edinburgh Festival Fringe. The band’s shows took place on Friday and Saturday this weekend at the Acoustic Music Centre @ StBrides (Venue 123). 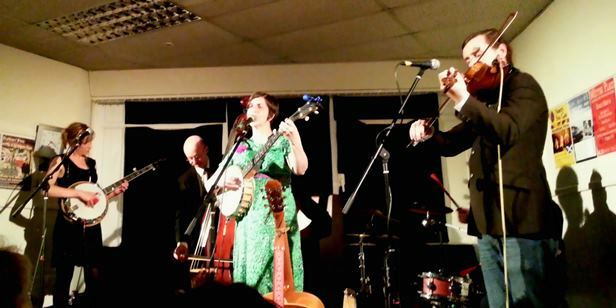 The band include female vocalists and banjo players Deborah Arnott and Clare Neilson, Danny Hart on the fiddle, Hugh Kelly double bass, and Ali Murray on drums. With an original mix styles Blueflint are a reputable live act which is not surprising given the reaction of the audience during the Fringe 2013. 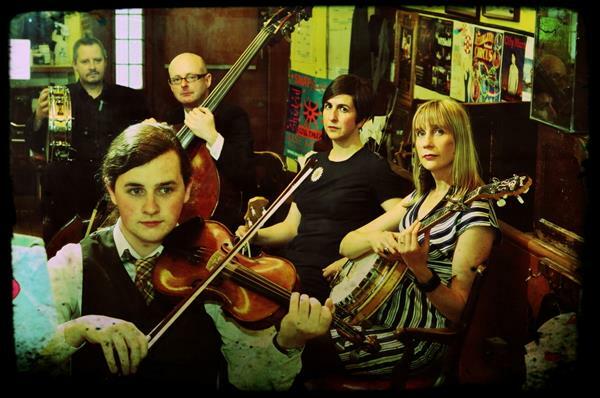 Their skill and craft are matched by the beauty of the folk songs, sublime ballad harmonies and foot-tapping up-beat bluegrass. Blueflint have released two critically acclaimed Albums High Bright Morning (2009) and Maudy Tree (2011), and supported The Proclaimers in 2012.